The Nats playing the Phillies are some of my favorite moments of the year. To the Phillies, the Nats are just another team 20+ games back in the division race with a losing record. To the Nats, a chance to prove themselves as a team, prove they are contenders, prove they belong in the USA and not in taiga outskirts of Montreal. As I came to realize yesterday, if the Nats want to do that, they need to FREE THE SHARK. Following a beautiful Ryan Zimmerman walkoff homerun on Friday night, the Nationals looked a bit dead at the plate last night. I was there with my friend Calder, as Tyler was busy... doing something? We started in our standard nosebleed, Section 226 seats, but moved way down to Section 109 after the 5th inning. Besides the few Phillies fans who were making offensive gestures in my direction (or maybe it was just their faces), the fans in our immediate vicinity were amazingly friendly and docile. They talked the talk of the stereotypical Phillies fans, wanting to run on the field naked, shoot the mascots with BB guns, and throw up on each other, but they kept those actions suppressed. I GOT A BOBBLEHEAD THOUGH! 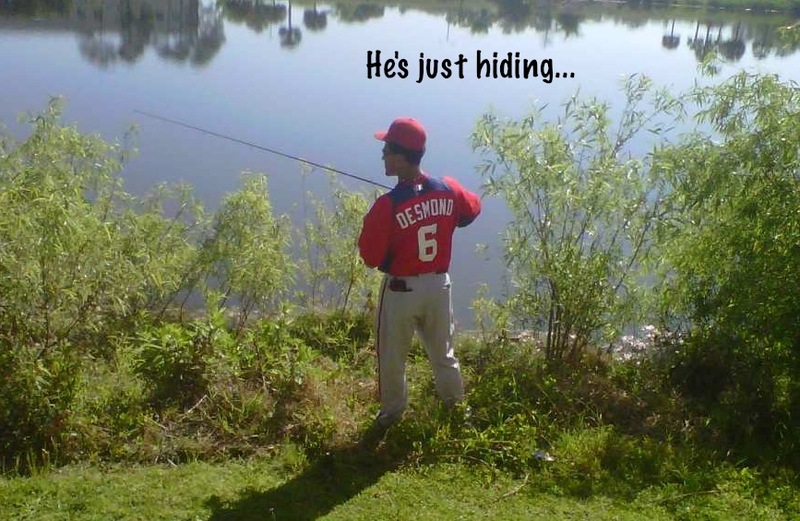 Ian Desmond didn't do anything at the plate, nor in the field.... At least he's a good dad! I knew it was going to be a tough day for him, when I opened the box and his leg was snapped in half....bad juju. The Shark has been his standard intimidating self in the minors and I hope the Nats call him up soon. He's a danger to everyone in the minors, because he's better than everyone else combined. 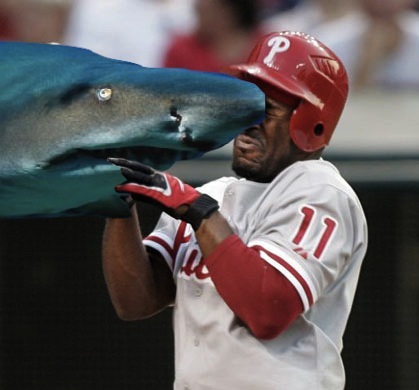 I want to see the Shark feasting on the Phillies, because nothing would make me happier. Nothing. Nothing at all. 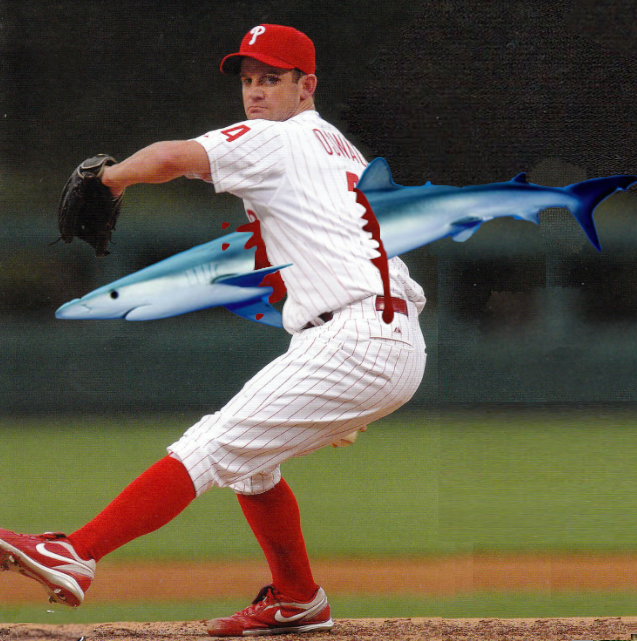 Also, I want to do more Shark Vs. images, and finding high quality pictures of minor league teams, is tricky. In finality. VOTE FOR SHARKADINA!!!! Ty and I are going to the Nats game on Wednesday. Free the Shark!